I know I must sound like a broken record but tracking billable time is extremely important for freelancers and consultants. 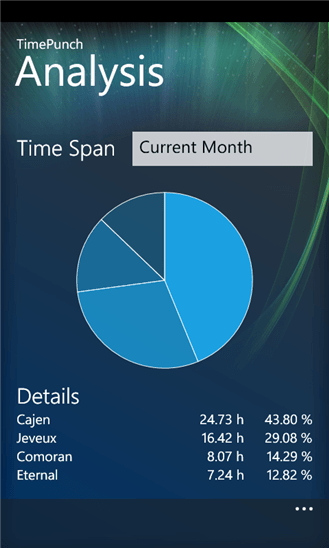 And in my never ending quest to explore all of the options out there, I give you TimePunch Mobile for Windows Phone. 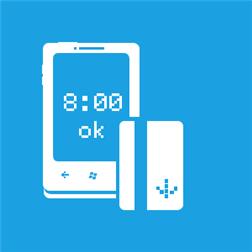 TimePunch Mobile is a free time tracking app for Windows Phone that has some nice features and a good looking UI (if you dig the Metro look). 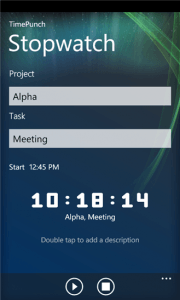 TimePunch Mobile has pretty much all of the features you would expect in a time tracking app these days plus it has the ability to sync with the Windows version of TimePunch…but let’s not get ahead of ourselves. This review will be a little different, I’m going to show a lot of screenshots with a short explanation with each. If you like this format please comment below and let me know. If it is well received then I’ll do more like it. 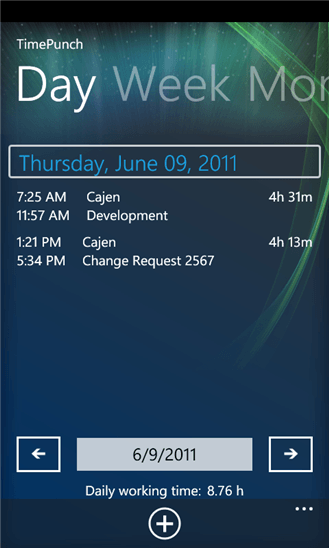 First we have the dashboard which is in the very family Windows Phone look and feel. The buttons are nice and large and well laid out. 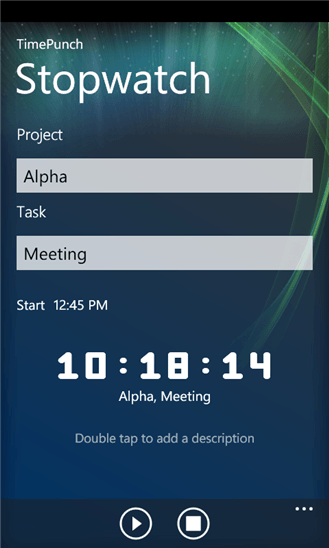 Next we have the stopwatch screen which lists the project and task you are tracking. You see the start time and the elapsed time. You can see on this screen your work time by the day, week, or month. It also shows a breakdown of your hours and your total hours for that time period. 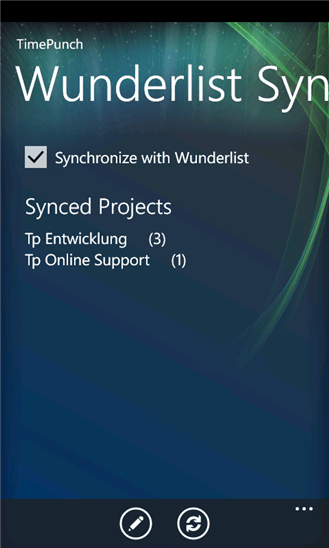 This screen shows the project settings. 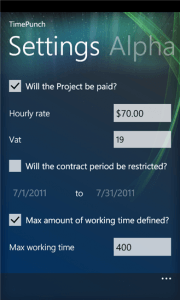 You can define your hourly rate for the project as well as the tax rate. 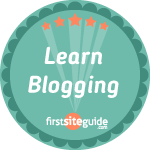 You can also set a max number of hours for the project which will help you stay under budget. I really like the ability to define a different hourly rate per project. 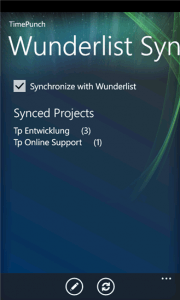 Here we see the option to sync TimePunch Mobile with Wunderlist which is a very popular task management app for Windows. 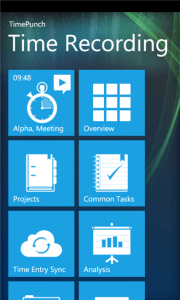 The ability to show reports is a necessity for time tracking apps. 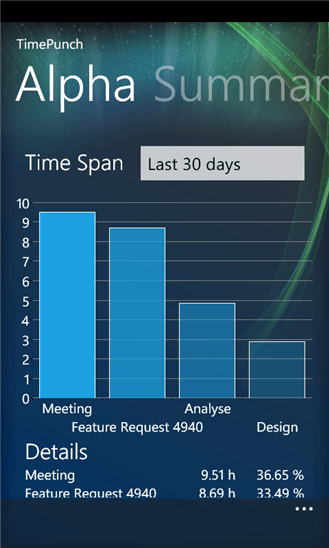 TimePunch Mobile presents you with a nice graph for your selected time span showing a breakdown of tasks and what percentage of your time they took. 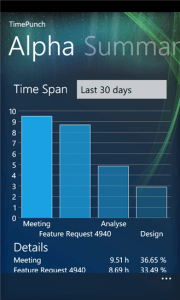 This is a summary report for a specific project in TimePunch Mobile. Th bar graphs are a nice touch. 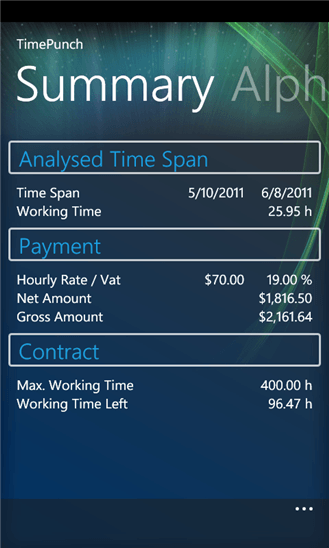 As you can see, this is a project summary screen showing time spent, your gross and net earnings, and how you did with your contract limit. 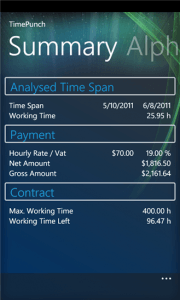 TimePunch Mobile is a solid app that does what it says and does it reliably…that pretty much all we can ask for.